There's a saying which goes, "everyone's a critic." By which we mean, everyone can find something scabrous to say about another person's creative labors. This was true even before the Internet added anonymity to the mix and turned humorous savagery into a national pastime. But the expression also indicates the plight of professional arts journalism in the Internet era. Everyone can be a critic; we all see the same object and we can, in principle, offer our thoughts on that object to the world. While few have the writing chops or judgment to be a good critic, the traditional barriers to broadcasting your opinions to the world have fallen. Because brick-and-mortar distribution is limited, print publication used to confer authority, testify that the professional critic was a cut above the layman w/r/t aesthetic judgment. No more. Moreso than institutions, it's personality and wit that makes for critical authority in the web era. However, there is a world of difference between being a critic and being a journalist. Games crit has never been better, but actual games journalism is in a pretty deplorable state. 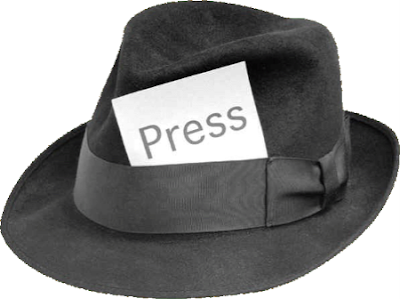 Creating professional-grade coverage of the games industry, unlike mere criticism, takes skills that the average Internet person is not in the position to have: making contacts with industry figures and asking the right questions, tracking down leads, developing stories. And this is one place where the democratization of games coverage has been a bad thing. What you gain by reading good industry reporting is an appreciation of the sheer contingency of the path from inspiration to retail sale . The truth is that corporate structures and executive personalities inevitably shape the content we receive. Many a game perishes for lack of creative vision, but many games also perish because they fail to catch the eye of the captains of industry. Games developers will tell you: "the difference between a mediocre game and a great one? Six months." The people deciding who gets those six months are the ones responsible for the quality of the games we play. That is to say: if you want to know why creative triumphs are hard to come by, follow the money. Every innovative, trailblazing game needs a good business model to succeed, and that's why it's interesting to know something about the vicissitudes of the various publishers, and to get an understanding of why they make the choices they do. This is what journalists can provide and critics cannot. Fortunately, there are a few sites that offer enlightening peeks into the machinery of the games industry. There's Gamasutra, for one (Leigh Alexander has been doing great things over there, including breaking this great story about salary-fixing in Montreal), but my favorite as of late has been the Cut Scene blog over on Variety.com, superintended by the redoubtable Ben Fritz. What I love about the Cut Scene is that it doesn't leave out the analysis: any website can post a figure or two, but there's a world of difference between citing a statistic and explaining what it means. And beyond this, the Cut Scene abounds in interesting and unique angles: how Rock Band is losing money, and why THQ is different from EA despite their equally dismal earnings reports. There's also some great interviews and an amazingly thorough and often-hilarious expose on the collapse of Brash Entertainment. I don't know how long the Cut Scene will remain at Variety (Fritz has been working on a temporary basis since the economic downturn claimed his editorial position), but make sure to check it out. The world is an unsafe place for journalists these days. Beyond the two journalists you mention, I personally find Stephen Totilo (MTV Multiplayer) to be another interesting, more progressive journalist. He actually goes out and finds stories or pulls them out of his own analysis. The angles at which he writes about games is also manages to shine a different light on the products. It really is embarrassing how it's "journalism" means reviews, press release distribution and maybe some crit. Remo et al. at Idle Thumbs expressed similar sentiment in the wake of NCsoft Europe being basically shuttered. This represented a tremendous power shift from the brothers Gariott to the ArenaNet crew. A cadre of folks with only one game (as ArenaNet) got the reins from a former industry titan. There are so many angles here, from the how things fell out due to Tabula Rasa's poor performance (and how that was presaged somewhere by Auto Assault's meager showing), the layoffs, etc. Almost nobody picked up on this story; most were content to focus on some vague hints of a game announcement in a press release from NCsoft that came about the same time. And I don't think you can blame the audience on this one and say nobody would be interested in such an article. How much of this is due to the symbiotic (parasitic?) relationship game journalists have with companies, where writing something untoward can get a journo blacklisted, I cannot say. @Daniel: good call on totilo. I don't think of him as a dedicated industry analyst but now you mention it he has done some really good stuff on that front. He's really a jack-of-all-trades as a journalist, and he has a knack for finding an original angle. @nels: This is a good point: when events like the NCsoft thing occur, there's nobody out there tracking the story down. I remember Luke Smith saying the same thing when Microsoft shuttered Ensemble: there has to be a great story there and nobody has the skills or wherewithal to track it down. I don't even think it's a matter of the overly cozy relationship between the press and companies, I just think that there aren't enough people with the skillset you need. Also, thanks for stalking! I intend to provoke. And I don't even want to talk about the twitterlurking I do. I feels unwholesome. Regular old journalism needs journalists. I came across this recently (http://tinyurl.com/crtm26) which echoes the same idea that bloggers just don't have the access that's needed to really scratch beneath the surface. I also think there is a willing blindness to that side of things. This is because it isn't fun. The every-blogger (present company excluded) just plays a game they enjoy and write something up. But journalism isn't fun except for a crazy, necessary few. It's damned hard work, and I tip my hat to those that can do it. Thanks for supporting my work -- for what it's worth, it's often frustrating to me that I'm spread fairly thin and lack both the time and ability to do more. I want to second the note on Totilo, though. I look up to him a lot in that arena. Oh, also: More often than not 6 months is the difference between a mediocre game and a less profitable mediocre game. IMO a mediocre game is the symptom of a mediocre team or mediocre leadership or mediocre process. Sorry, total tangent to your tangent. But I have seen lots of teams throw more time and money and people at mediocre games, which just ends up driving the game toward mediocrity faster if the root problems aren't fixed. You hit the nail in your last line. It's not only a question of those with the skills, but also the outlets to support them. Most of what you're describing seems to be in the vein of business reporting, which is definitely a long way from the expertise of most of those who cover games. It's similar to major sports coverage - most of the time it's just covering a huge entertainment industry, but on occasion, like with steroids in baseball or public financing for new stadiums, there's real reporting to do. I don't mean to devalue the "real" reporting that's actually going on, but are general consumers of gaming news hungry for that kind of info? Maybe. I know I am, and you obviously are, but how closely do we reflect the average gaming news consumer? @mike: I'm going to take your word on this one, 'cause you would know. (the blog is great by the way) Nothing will save a game with a poor concept. @leigh: hey thanks for stopping by! It seems that videogame writers have to stretch themselves really thin just to make a living at it. With the demise of print we're seeing fewer and fewer outlets with salaried positions. @mike: you know, I don't know how much the average consumer cares about the industry side of things. This is a really good question. There's people like me who like games and are interested in the industry as a whole-- and then there are people in the industry who are probably interested. But beyond that I don't know who else would be interested in this kind of reportage. @mike & iroquois: A vigilant and discerning critical community is only as good as the journalism that precedes it. I don't think people read up on any industry news unless they hold a certain amount of interest in the area. The proper question isn't whether they "want" it, but whether they "need" it. I say yes to the latter. They need it because an industry without a mirror remains oblivious to itslef, and ultimately, to its consumer's demands. That being said, I do visit kotaku everyday. Mea Culpa. The site is best for skimming headlines and getting a phantom trace of what's happening. After that, I usually pursue the substantive articles regarding those headlines. I don't know why they bother writing reviews - it's like reading an instruction manual. @ Iroquois: Thank you sir, the feeling's mutual. One thing I've noticed lately is that the only time I usually read more than just a headline on a news site is when there's some exclusive information, particularly interviews. This is generally how I treat movie sites as well, so maybe that's just a personal bias. One thing that's really starting to get to me though is the number of news aggregators that just link to pages on OTHER news aggregators. It's bad enough to see the same story on Kotaku, Slashdot, Massively, and Joystiq, but seeing 3 of them link to a story on the 4th that was only just a link to something to begin with drives me nuts. My reader is overflowing with reposts. I just like the helpful information you supply to your articles. I will bookmark your blog and take a look at again right here regularly. I am reasonably sure I will be informed plenty of new stuff proper here! Good luck for the following!